In this edition of Futuris, we’re off to northern Israel, to meet scientists working on a European project aimed at developing the perfect tomato: it would require 90 % less irrigation than ordinary varieties, would be extremely resistant to drought but also taste good, have a nice texture and provide a steady yield. We want to see which tomato plants can still give good yields without water. Some 40.000 tomato plants from 200 different varieties are being grown as part of the experiment. For some of them, life is hard. They only received water for three weeks at the start of the season, and spent the long, hot summer without irrigation. “The big tomato plants that you see behind me got water. It is a very basic fact that tomatoes that get good nutrition and water will grow bigger,” explains Amit Koch, a plant breeding scientist at The Hebrew University of Jerusalem. Finding out how to develop drought-tolerant tomatoes is one of the goals of this European Research project. Researchers here think the answer doesn’t lie in genetically modified organisms, but in nature itself. “Our approach is to use natural biodiversity in order to identify traits that come from wild species, that are related to core plants, and transferring these traits through conventional means into modern tomatoes, thereby achieving a tomato that has the old traits plus an additional bonus trait that comes from the wild species,” explains yield project coordinator Daniel Zamir from The Hebrew University of Jerusalem. To become a market reality, drought-tolerant tomatoes must first meet certain criteria. Every season, some 700 varieties are assessed inside a lab. 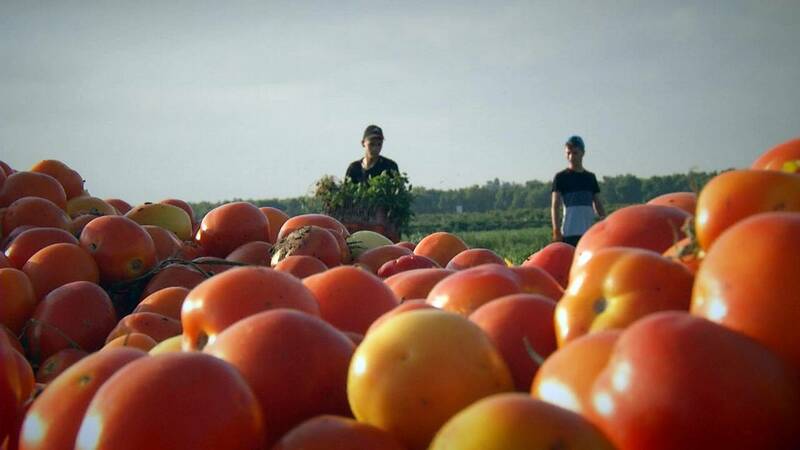 Over time, scientists have built up a collection of seeds from 12.000 different varieties of tomatoes. “The taste is very important. We also try to get a high sugar content as well as different tastes and aromas. And we try to focus on the colour,” says Matan Oved, a plant scientist at The Hebrew University of Jerusalem. Once promising candidates are identified, their DNA is carefully studied. Plants with specific genetic traits will be interbred with wild species to create new varieties. Similar research is being applied to develop varieties not only resistant to drought, but also to pests and diseases that also adversely affect tomato yields.